The best prenatal vitamin contains the right amount of all essential vitamins. 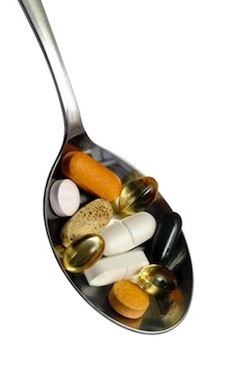 Prenatal vitamin supplements consist of a mixture of essential vitamins and minerals. The best prenatal vitamin is a supplement which consists of just the right amount of vitamins without providing the mother-to-be with too little or too much vitamins. The best time to start a prenatal vitamin supplement including folic acid is about 1-2 months prior to getting pregnant. There are over the counter versions and prescription versions that include all of the vitamins and nutrients the mother needs while pregnant. The most important thing to remember is to take a vitamin created for pregnant women and not a general multi-vitamin. The prenatal vitamin includes vitamins that have just the right amount and also folic acid that is important in the beginning weeks of brain and neural tube development while some vitamins created for non-pregnant women may include amounts which are either inadequate or too much. The reason pregnant women need to take a prenatal vitamin is about insuring the proper levels of vitamins and minerals. While most of these can be consumed during normal, everyday eating, some cannot. Folic acid and Iron, for instance, are required at levels that are difficult to consume through food alone. If the prenatal blood screen shows a deficiency in a certain vitamin or vitamins, the vitamin will be supplemented beyond the prenatal vitamin amounts. This is the only supplementation that needs to be added to the daily prenatal vitamin. Calcium is not included in the prenatal vitamin as a full day's supply. Pregnant women should consume cheese, milk and other calcium rich foods in order to meet the daily requirement. Omega 3 fatty acids are not included at all in the prenatal vitamin. These fatty acids can be consumed in the diet, but with the threat of mercury overload, pregnant women are told to shy away from fish more than one to two days a week. It only takes 5 to 10 ounces of Omega 3 rich fish to reach the daily requirement for Omega 3s. Not all prenatal vitamins will include the same ingredients or complete set of vitamins, so when getting a prenatal vitamin it's important to read carefully the amounts.